Bill Bryson’s The Road to Little Dribbling is something of a sequel, written after 20 years, to just one of his many bestselling travel books: Notes from a Small Island. He is once again traveling around Britain by bus, train and on foot, and experiencing all the joy and pain traveling can entail. His writing makes sharing in his adventures a humorous ride for seasoned & armchair travelers alike and the perceptive insights he shares on the sights & sites he visits make this book a delight to read. 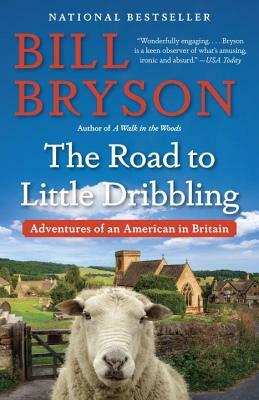 Bill Bryson’s Road to Little Dribbling is classic Bryson laugh-out-loud funny and heartwarming.